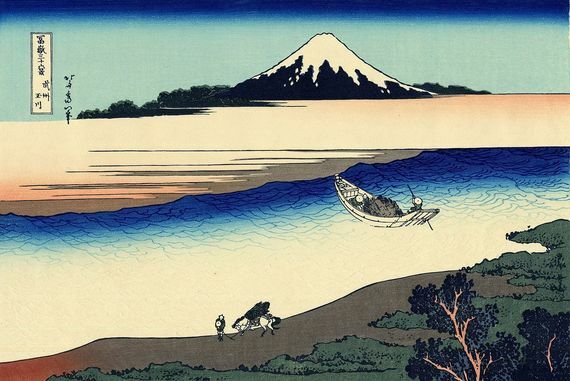 As I was going through some history books about Japan, I discovered that Hokusai, the Japanese artist famous for his print The Great Wave as well as his series Thirty-Six Views of Mt. Fuji, had once drawn a landscape of the mountain with the Tama River flowing in front. The Tama River is one of Tokyo’s longest rivers, meandering through the outskirts of the city. I had never visited it, even though it runs through my hometown. As I contemplated the river, it reminded me of Kamo No Chomei’s famous phrase about life (quoted above). The expression uses the river as a metaphor to describe the uncertainty and ephemerality of life. His essay ”My Ten-Foot Square Hut” covers the chaotic history of his time, ranging from the conflict between two ruling parties, a catastrophic fire and even a (different) disastrous earthquake. That is when I decided to follow the Tama River. By observing and investigating the lives of contemporary Japanese people living along the river, I thought I might be able to find and define what we once used to think and how we are feeling now. I believe that my re-discovery of the writings and visual depictions from our ancestors—which hopefully still remain and run through our minds—will help lead to an answer of what our country is truly about. My wish is to find some resolution to the questions that have been haunting us since 2011—what is the future of our country and how do we confront the crisis we are facing right now?